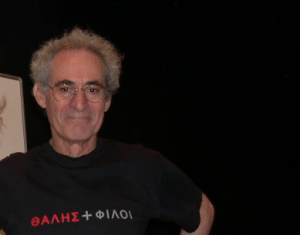 The following interview between Barry Mazur and David Corfield was conducted on July 23, 2007. The interview as it appears here was transcribed and edited only slightly for clarity. Corfield: You talk about wanting the best organization of a narrative. How does this apply to your story of the prophetic vision of Kronecker? In the discussions today you said at one point that if you told this story either in its nitty-gritty historical detail, or if you put it in a sort of Bourbakian-crystal form, then you wouldn’t have been able to tell the story as you did. Mazur: Well, if I pitched it in a Bourbakian way, I would have thereby chosen a very particular audience, not the audience that I was interested in addressing—at least in this piece. If I pitched it as a history of the intellectual milieu of the mathematicians at the time, I wouldn’t have managed to tell the story at all, partly because I would have gotten distracted. Kronecker is a complex individual, unsavory in many ways; and it is very possible that elements of his make-up, his biography, connect in some essential way to his Jugendtraum. To tell that story responsibly would be a wholly different project. I want to talk about “Kronecker’s vision”—somehow disembodied, and how it—the vision— was taken up by generations of mathematicians that followed Kronecker; how that vision has a development all its own. Corfield: Something that came up during questions: can there be a kind of disembodied actor of that sort? What kind of thing can this dream vision be? One thing that occurred to me, and you talk about this on page two, something one often associates to the notion of a person at least is the notion of responsibility. So I was rather intrigued to see that you talk about responsibility here. You say “all dreams come with responsibilities”. So what happens though when it—the dream— becomes disembodied? What happens to that dimension of responsibility with a disembodied idea. I mean, if the vision itself is an actor, does it have a responsibility? Mazur: I’m imagining a history of ideas that is—in effect—historical fiction. Start with an idea; follow the idea as it develops. The word it, of course, hides a large conceit, for mathematicians and not a disembodied it are the agents for this development; that’s why it is fiction. But sometimes, a useful fiction. Corfield: I am still intrigued though about the relation between that kind of story and the historian’s history. I mean the particular way historians of science work. This has changed in the last 20 years or so. Is there a sense in which there’s an element of the truth of mathematics they cannot capture with their resources? Mazur: Yes I think that there’s a type of truth—and a type of audience—that traditional history of mathematics will not capture. One might want to capture the flow of the idea in a non-personality and non-Bourbakian way thereby explaining certain aspects of the idea to a different intellectual audience than the traditional accounts could possibly get to. Corfield: OK. Regarding the notion of disembodiment, Shafarevich, when he says that mathematics is like a symphony written by a single composer, has taken that a stage further. Mazur: Totally distracted. This is a good example. Mazur: How the future will perceive you or me, just as we have perceived the past. We have had difficulty understanding the complexities of the mission of our forefathers. Because it’s all now so very very plain to us. And the future will have difficulty understanding how difficult our contemporary visions are to us. Corfield: Right, it’s a sort of ratcheting process almost. Corfield: Which brings me to the next point on Michael Friedman. You’ve read the book, The Dynamics of Reason? Mazur: No I haven’t read the book. Corfield: OK, but there is a really interesting thing there about the difference between a retrospective rationality and a prospective rationality. The interesting idea of the future easily making sense of the past comes into it. But that’s not all. There is a prospective rationality as well where one has an eye to the future. It’s harder grittier work in a way. For Friedman, with quantum mechanics it never quite happened, so that’s in some sense a failure, whereas the hard work of people like Helmholtz and Poincaré did the prospective work for Einstein. Didn’t they? Corfield: Freidman’s notion of retrospection, is definitely the telling of a story. And it’s more the telling of the sort of story it sounds like you want to tell, rather than nitty gritty history. He talks about constitutive principles. Consider the passage from the Newtonian paradigm to the Einsteinian. In the Newtonian one you need a mathematical language like the calculus that provides you with a way in which you can state various constitutive physical principles such as the laws of motion. And then within that framework you’ll have various facts. And one of the facts is the equivalence of inertial mass to gravitational mass. As time goes by, there will be some tensions and difficulties in that setup. But as it stands, for a reasonable amount of time at least, it can’t be falsified. They are not all on the same level. Corfield: You can falsify the facts and you’ll try to adjust various principles to keep the main principles intact. Corfield: Right, which is rather like what you are saying. But it will come to a point when something isn’t fitting anymore and then a new mathematics is needed, like the tensor calculus, which will allow the expression of new principles, general relativity say, and then you have this lovely turn around where what were facts before can become principles now. Mass, inertial mass, gravitational mass. And what were laws before can become now maybe just approximate facts. He goes on to say in that book that you don’t get this in mathematics. The difference between mathematics and physics is you don’t get that change, from something being a fact to something being a principle. Corfield: I know exactly. You are right. I have an example. You had some axioms of topology and algebra and a bunch of homology theories emerged, Cech, singular, etc. Later on, with a new constitutive language, if you like, category theory, you can set up the Eilenberg-Steenrod axioms and then what was a fact, that Cech homology was a homology is now no longer a fact. I think it’s the one that fails, isn’t it? Mazur: Yes, but it has made its comeback in étale cohomology. Corfield: Right. This is related to Peter Galison’s question: “Does your sense of template actually go against Kuhn’s notion of paradigm, which is a little bit too strict and rigid’? Mazur: It doesn’t quite go against it: it is rather that pliable templates are the ones I am particularly interested in. Templates that you use for purposes for which they weren’t initially designed, and where they actually don’t quite work as intended—but they do “work” in some unexpected way. They’re pliable, they keep changing. But it also is how they are changing that you come to understand as obliquely offering the answer to the problem you are attacking. So it’s Kuhnian in that sense. It’s all mutability. There’s no revolution. There’s no break. Corfield: Is there a cut-off point between stretching and revolution, like an earthquake, a general build-up of pressure and a sudden sliding of the plates? Is it really the difference between mathematics and physics that it appears that there are these sudden shifts in physics, and mathematics actually seems a little more flexible in that sense? Mazur: At least the examples I am holding in my head at the moment in mathematics are more flexible. I seem to be attracted to these examples. There must be similarly Kuhnian examples in math as well. Corfield: But things are shifting. I think that even in history of science people are tending to avoid the word revolution now. I was at a conference recently and that certainly was the case. Even people who study the industrial revolution don’t call it a revolution anymore. I was interested in your account of the taxonomy of storytelling. For example, origin-stories, purpose-stories. How sharp is the distinction or how does one distinguish between an origin-story and a dream? Mazur: The origin can be external to mathematics. For example, Archimedes being asked by some tyrant to figure out how to weigh gold. That’s an origin. Corfield: Is that not a purpose-story? Mazur: Let me see if I can find a good example of a purpose-story… Can I take the Dirichlet principle as an example? You want to understand diffusion of heat on the boundary. That’s the purpose. For example on the disk, you express the function describing heat distribution on the boundary by a Fourier series and you use the radius as the extra parameter that turns the Fourier series into a power series and it works. And then come various elaborations of that, allowing you to develop a kind of Dirichlet principle. But it’s not a mold, it’s not a template. And its purpose was internal—so to speak—to the context of the problem. Your initial aim was to understand heat diffusion. That is a different sort of aim than the aim to please a tyrant. Corfield: That’s an interesting story. To people like Riemann, it didn’t need proving because it obviously must be true. If I set this electric charge on the boundary of a conducting surface, the electric potential will form the solution. But in a way that does carry on playing quite a strong role doesn’t it? It’s there in Klein; he actually talks about electricity doesn’t he? Mazur: Yes, he plays on the analogy. He says that in order to understand a lot of Riemann’s analytic work you have to keep in mind the electrical analogy. is delicious, because if you see it as an algebraic statement it is indeed the beginning of the grand project of giving explicit expressions for abelian algebraic extensions. This project encompassed —as it expanded—Kronecker’s dream, and went beyond that to what is now largely dealt with by the Langlands program; while if you see it as a geometric statement in the complex plane it is indeed the beginning of the grand project of geometry, in that we may interpret the displayed formula as giving us the length of the diagonal of the unit square. In sum, you can think of that formula as being the “beginning,” at least in one sort of narrative, of lots of mathematics. Corfield: And Kronecker isn’t really aware of this? Mazur: I bet he was. He wouldn’t bother to say it. But you can say it. And I think of this as the first trigonometric expression of a radical. Find the next. And now you are off. Corfield: Retrospective storytelling isn’t it? Mazur: It’s a retrospective story. Corfield: So an origin story must be almost historically accurate? Mazur: Yes I imagine that I would still want it to have some element of accuracy in it. Corfield: You see you are very close to rational reconstruction. Mazur: Yes but a self-conscious rational reconstruction. I love Lakatos. Corfield: Right, Lakatos didn’t see it is a bad thing. It was never negative. Kuhn says he was telling fairy tales. But in a sense you are happy with them being fairy tales. Mazur: I am happy with them being fairy tales because there is something lost in comprehension if you don’t tell them. For example, this Kronecker story has never been told in the way that starts with the sentence “In the beginning √2 = |1+i|.” Nevertheless there are a number of good books wholly devoted to Kronecker’s deam. The title of one of them is Hilbert’s Twelfth Problem: A Comedy of Errors. And the type of history it gets into is not personal nitty gritty but rather textual nitty gritty, or the anxiety-of-influence-type nitty gritty arising when nobody really understands what anybody else is doing. That’s a wonderful book! Then another book on the topic is entitled Kronecker’s Jugendtraum, period. Only my graduate students after five years could read that book. But that’s not the audience that I want to explain this idea to. There is a very specific sweep of an idea in Kronecker that I believe is suitable, and useful, for the audience I’m looking for. I want to write about the evolution of the use of the word ‘explicit’ and ‘constructive’ in a certain context and I want to show how pliable these words are, how related they are to what we naively mean by explanation, and how subtly they can change. And you can’t tell all this except by employing this type of historical fiction: it’s not quite a rational reconstruction in that I don’t claim it to be history. I claim it to be just useful… it’s a parable. Maybe it’s a parable. Corfield: Lakatos actually was comparing methodologies. Of the historically minded philosophers, the one whose notion of rationality captured as much of the real history as possible and that saw as little irrational as possible was the one—from Lakatos’s perspective— who had the better theory. Mazur: Lakatos said that? I thought he was all for very carefully recording the back and forth of error and correction. Corfield: No. There is a good sort of back and forth in the world of ideas on that level. It’s not nitty-gritty back and forth. I mean you can talk about back and forth in your type of story to some extent. Corfield: I think you are looking at it very similarly then. Mazur: Is that right? I’ve got to reread Lakatos. Corfield: Not so much Proofs and Refutations. Perhaps the later work. The Methodology of Scientific Research Programs in his collected works. You were talking about purpose-stories with the external influences on the content, in terms of the effect on mathematics. I wonder how black and white that is. You know some mathematicians don’t see this great gulf between physics and mathematics. And even someone like Atiyah, when asked which mathematician he most identified with, said Hermann Weyl. Strange because Atiyah only belatedly got into physics. So that’s curious, as though there was an almost pure mathematical core in mathematical physics. Mazur: Yes, well that’s a big issue I think. Mathematical physics. Why is there nowadays such a clean break between mathematics and physics? Why isn’t there a continuum, and we simply understand that there is? Corfield: You will get some physicists who will accuse mathematical physicists of just being mathematicians. Somebody will see someone like Witten just like that. String theory crystallizes this problem at the moment of ‘what on earth are they doing?’ And for some people, like Jaffe and Quinn, there is this nasty intermediate ground where they pretend to be mathematicians, they haven’t got though the background of a proper mathematician. Mazur: Oh I think they’re OK.
Mazur: One way of thinking about all this is—with the rise of String Theory— there is just a third field emerging, which can’t be considered traditional mathematics, nor traditional physics, but rather something new. I mean, that’s a possibility. Physics ultimately depends on its anchor of experiment and mathematics ultimately depends as its anchor on proof. String theory seems to have cut both anchors, and yet is alive and flourishing; it depends on some formidable intuition — some kind of inner resource— whose roots seem mysterious to me, inaccessible; nevertheless I don‘t doubt for a second that they—the string theorists—are going in the right direction. And moving so fast. Corfield: Atiyah talks about mathematical confirmation of string theory. Corfield: From the mathematicians’ point of view doesn’t this mean that there must be a core mathematical idea embodied in what the string theorists are doing? Mustn’t there be a theory there, so that one hundred years down the line we will look back and understand? Mazur: I think that may be true but that’s not what drives them at the moment. Some platonic vision. They see something that mathematicians don’t see. I have no idea how they see it but they do. Corfield: But do mathematicians have a belief that there must be mathematics behind what they are doing? I mean there must be something they somehow latch on to intuitively. Mazur: Yes but I don’t want to say ‘and therefore it’s not a subject.’ I think String Theory’s a subject and if the mathematicians fifty years from now will be able to translate it into their language that’s great. But at the moment it is a subject. Corfield: I think that Atiyah’s reaction was that we can look after ourselves, we mathematicians. They’ve got a source of great ideas. Let’s just live with that. I mean it’s brilliant, that’s wonderful for mathematics. Corfield: All these worries that the standards will slip and so on. Mazur: I don’t agree to that. Corfield: Somebody suggested the idea that you can get people stomping through a field in a rather ad hoc kind of way, not a very principled kind of way, and then you leave this great mess behind and nobody wants to go in there anymore. A bit like doing bad archeology, you know. Mazur: OK, you destroy the fields. Corfield: Right. Whereas the careful, more meticulous… but you know, this isn’t an archeological site, I mean you can go revisit surely. Mazur: You can go revisit this, and also no one had quite visited the String Theory fields before. String theorists are discovering these archeological fields. So that alone is priceless. Corfield: Are they providing templates of some sort? Mazur: They are moving so fast that I don’t know. Corfield: There are probably templates to be extracted from what they do eventually? Corfield: Later on you give a rephrasing in slightly more modern vocabulary than Kronecker himself might have used. So in a sense that’s your type of story telling there, the vision? Mazur: Yes, all this is achronistic. Mazur: Exactly. If I were writing History (with a capital H) I would never do this. Mazur: That’s a possibility but I don’t think that is what I am interested in. I am not interested in heritage. I am interested in explaining something. Corfield: No he doesn’t really mean heritage. Corfield: Yes, you could probably think of a better word for it but you wouldn’t object to it being labeled differently? Mazur: Well, historical fiction would be good. Corfield: OK, so now we can come onto this part about ‘explicit’. And I am sure this word does change, so you say “a companion word to ‘explicit’ is ‘constructive’ with its own vast history, and perhaps a more expressive description of Kronecker’s hope is that one might explicitly construct algebraic number fields”. What struck me there was thinking about Weyl and his book Algebraic Number Theory. Do you know his chapter called ‘Our Disbelief In Ideals’? Mazur: Yes. He is deeply Kroneckerian there. Corfield: He was closely identified with Brouwer at one point through the 1920s although he had probably broken away from that when he wrote Algebraic Number Theory. Mazur: I have the impression that, at times, Weyl expressed more strongly finitistic sentiments than you would ever find in Brouwer. Brouwer was perfectly willing to talk about the infinite. It’s not that Hermann Weyl was unwilling to talk about it; he just didn’t feel he had to. He could express anything he wanted in finitistic terms. Corfield: Right, so Kronecker’s vision is carried on by him, is alive in him in a sense? Mazur: He thought so. Clearly in that chapter. Do I think so? It’s an unreadable chapter. Corfield: I did try to read it. Because I did a chapter in my book on contrasting Dedekind and Kronecker as the successor to Kummer, which is an ambitious thing to do. Corfield: And I probably bit off far more than I could chew. But I was quite interested in Weyl’s appraisal of the two strands. Actually all the reasons he gives against Dedekind aren’t very good reasons. He accuses Dedekind of being ad hoc and actually using Kronecker’s ideas. Dedekind did get around to using Kronecker’s ideas. And then Emmy Noether had fixed things by then anyway. Mazur: So the whole issue is: is Weyl faithful to Kronecker? He is certainly faithful to one of Kronecker’s aims, which is the explicitness of things. Is he faithful to Kronecker’s way of making it explicit? Corfield: Right. Then you go on to talk about explicitness. You’ve got these three E’s on the go: explicit, explanation and economy. And in your explanation of explicit you actually start using words like ‘economical’. I want to talk about the idea that explanation involves economy as well. Mazur: I came to believe that explicit is just a little flag you sometimes wave: you say it if you think you have explained something in terms you think of—vaguely—as concrete. As long as you believe that, that’s your felt experience; OK for you. But it’s just a tag which says ‘I believe I have explained it.’ I think that’s the way mathematicians use this word, at least some of the time. I hadn’t realized that until I wrote this paper. Corfield: But then you’ve got to say that the word ‘explain’ is even more important. Does it contain more than explicit? Mazur: I think it does because sometimes you explain things and you say ‘I’ve explained it but it’s not explicit.’ An example being the type of “either e+π or e.π is not algebraic” sort of statement. Corfield: Not explicit, right. So perhaps ‘explicit’ is explaining in a certain way. Mazur: Explaining in a certain way, yes. Explicit is an “I know it when I see it” sort of thing. Corfield: OK, so let’s talk a little bit about explanation, which as I mentioned in the discussion is an enormous topic. It has been treated extensively by philosophy of science, for example, there’s a Wesley Salmon volume of four hundred pages. It’s just enormous. A very simple breakdown of different theories of explanation in science: there was the camp that saw unification as being this critical part of it. Did you know that the helium balloon will tilt forward as you accelerate down the runway? I mean in the horizontal direction. OK, so, if you apply general relativity, the unification explanation of this is: if you are accelerating it’s the same as being in a gravitational field. Imagine that you are lying on your back holding your balloon your balloon would want to go upwards, yes? So that ought to be the same as going forward in the plane. Corfield: So there is actually higher pressure providing a force sufficient to accelerate the balloon faster than the plane. There is a battle between those two schools, and Wesley Salmon wanted a unification of the two. Then there was a third strand as well which actually rather picks up with what you are doing now, that explanation is relative to an individual. This is Bas van Fraassen, who says there is very much a pragmatic dimension to explanation. I mean really all someone is doing is that they are asking a why question, ‘Why this in contrast to that?’, and they will always have in mind a set of contrasts. Mazur: Why x rather than z? Corfield: And all the explanation is doing is arguing from what they already know. Mazur: If I use the word “template” would you say that—in Wesley Salmon’s vocabulary—that it’s an attempt at a unificational explanation? Mazur: Since my tale starts with an individual’s spark, it also sounds like the third one. But then it takes off and as template it becomes a unificational principle. That seems to be the story I am telling. Corfield: Right. Kitcher was motivated by mathematical examples as well so that would fit nicely that he comes from the unification end. I wonder, can one make any kind of story from the causal account? 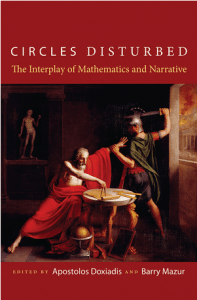 Do you know Paolo Mancosu’s book on the philosophy of mathematics in the Seventeenth century? Aristotelianism was still alive then. Mathematicians were using the word causal. To give an example, there was an idea that a reductio proof did not get at the cause. Mazur: That’s right. There is this hatred of reductive proofs. Reductio proof versus cause, that’s interesting. And that is prominent in the seventeenth century. Corfield: It’s about getting the concepts the right way round. And if one had them the right way round one wouldn’t have to resort to this nasty non-constructive (as we now see) double negation sort of proof. It seems to be about that Aristotelian idea of getting the concepts the right way round. Mazur: So you’re telling me that for people studying explanation, there is unification, there is the causal and then as you say there is the individual pragmatic spark of the why. Somebody’s asked why. Corfield: It doesn’t have to be the original somebody. It could just be anybody now asking you: why did the car radiator break? Because the temperature went down, it froze and it burst. Corfield: Right, in a sense it doesn’t seem like a third alternative in a way, does it? Is it purely a personal thing whether something is a good explanation or a bad explanation? Mazur: Oh it is definitely a personal thing. If you tell me something and I say ‘it doesn’t explain it for me’, I am the last arbiter. Corfield: What happens if you later come to see ‘Oh that was a good explanation’? You can do that can’t you? ‘If only I had realized…’. Mazur: Well, there must have been something the explainer hadn’t realized, some trigger that should have been there, but wasn’t. The trigger might have been the student’s own prior preparation. And, even so, it stands as a bad explanation. I mean if you try to explain something not knowing what preparation the person has to whom you are explaining that something, it’s your fault, it’s not the person’s fault. Corfield: Right but I am wondering if there are two aspects there. There is this sort of ordering-of-concepts type aspect to explanation. And then there is what a particular person whose clicking into this arguing knows, how their prior knowledge can mesh with this current explanation. Mazur: OK. The ordering let’s call Cartesian because, after all, most of Descartes’ ‘Rules to the direction of the natural intelligence’ is exactly that. And a good deal of Discourse on Method is—in effect—that. If you order things correctly everyone will understand, and they will not need intuition. Descartes is an anti-intuitionist in that sense. In effect, he keeps whispering: “My analytical geometry means that you don’t need geometric intuition”. He doesn’t put it that way, but he puts it in terms of grand philosophical principles. So if you carefully go from step one to step two to step three you can abolish these ridiculous leaps of flashes and intuition. Mazur: Well it could. But I still think something was wrong if it didn’t “take” the first time. Corfield: Then you move on to proof = explanation + guarantee. Mazur: Yes, that was the equation which I borrowed and I am happy to find similar `equations’ all over Klein’s psychology of mathematics. In the Göttingen library there are beautiful handwritten notes of Klein’s that record lectures given in his seminar: someone in his seminar on the psychology of mathematics gives such an equation. Corfield: I suppose we are just referring back to what you said about Descartes actually: if you had the explanation properly right it would already contain its guarantee wouldn’t it, because you would see it? Corfield: There is a lot of interest isn’t there in the all these papers, Michael Harris and Tim Gowers from earlier, about androids. And you end up actually in this section talking about “the point I am making is an obvious one, desire pure and simple is often the main motivator for explanation”. So we are sort of getting back to the subject in a way, the bodied person with their desire which the computer does not have. I am wondering “why are people evoking these computers all the time?” I did some work myself on computers and they are dumb animals and they have no sense of the ‘why’, there is no desire there and there is no sense of judgment about what they do. But a computer can be used as a device, can’t it, to try and understand the human? Corfield: I suppose the whole point of the conference, in a way, is that humans are the only beasts that have this kind of narrative notion of rationality. Corfield: So, I am wondering if that’s linked in a way. Mazur: I think it is linked. Corfield: That a computer is dumb because it does not have a sense of narrative. Could it be? Mazur: It certainly does not have desire. It doesn’t want to know. We want to know—and we have a keen sense of what sort of thing it is that we want to know—and that is a big difference. Corfield: And the wanting to know, does it involve a story-like element? Because you must then conceive of yourself as knowing. You know you don’t know and you know you could know and you know you will be able to look back at yourself now and see that you are better or your understanding is much better. Mazur: Yes, and also you have a past and you are just impelled to know because of something in your literary or mathematical biography. If mathematics is doable entirely by machine, what is being done is the guarantee. And eventually there has to be a subject to whom all these guarantees – truths are being explained. I guess what is worrying, for people who are talking about the androids, is that the guaranteeing mechanism might be overwhelming the rest of the equation. One almost sees a tiny bit of this in the ‘four color’ problem where the computers have guaranteed it…we are told! Mazur: Or we could say we are out of the mix. Mazur: I think it is interesting for what it is, which is: inaccessible. But the explanation of the ‘four color problem’ is quite different from the explanation of why base times the height over 2 is the area of a triangle. We have a closer inner involvement in the latter (we “see” it) and we don’t have it in the former (we’re merely “guaranteed” it) . Corfield: Can one say that if a problem doesn’t provide a mechanism or way into producing these rather beautiful explanatory sorts of theories then it just an uninteresting problem? Mazur: I don’t believe this. Mazur: I mean there is a movement afoot to make a curious equation between beauty and truth. I don’t know who started this. von Neumann says that mathematics has not completely done its job until it’s beautiful. Now that is OK, I like that. But then there are also people who proclaim that ‘beauty is the beacon of truth.’ Just follow the beautiful and you will get to the true. Mazur: I don’t know. I would say that anyone who says that beauty is the beacon of truth has to work to explain it. Because most of the time in mathematics we are after understanding something and if we have to get to it by the ugly truth and if that is all there is, I would say we would do it. And to say that we follow the beautiful because we are looking for the truth is an incredible metaphysical proclamation of faith and it should be labeled as such. There is the Isak Dinesen ditty “Straight is the path of duty/ curved is the path of beauty./ Follow the straight line, thou shall see/ the curved line ever follows thee”. So it is possible that we just do our thing and—my gosh!—every time we look back we see that we have done something beautiful. That, I am happy with. Corfield: OK, as in the retrospective direction? Mazur: Yes the retrospective direction. Yet again we have done a beautiful thing but all along we have just been following understanding. So it is a little gift, it is a bonus. We turn back and we see ‘Oh wow, we have done something beautiful here.’ But to say in a doctrinaire way, ‘we follow the beautiful and then we will get to…’ I don’t know. Corfield: But just as the explanation of ‘explicit’ changes through time, the notion of beauty in mathematics mustn’t it, aesthetic sense and sensibilities, change? Mazur: Absolutely. That’s the key. For example negative numbers they were hated, they were ugly. Corfield: There is a retrospective telling of the kind of stories we were talking about. Some mathematical fictions are a way of narrating the past so they seem like the following of beauty. Mazur: Well it is clear that Cardano was doing something strange when he wrote exhorting his readers to ‘dismiss mental tortures‘ and plough on with a certain computation. That’s not following beauty. Corfield: Yes. So I wonder if one presented this, how they would respond the people that say ‘we should follow the beauty to get to the truth’? If you presented that example to them what would they say? Mazur: I am currently writing a brief thing about this; I don’t yet know. Corfield: There was a beauty there that they didn’t know about? Strange thought. Another thought I had, of course you can take the further step and not equate the guarantee with the computer. There always must be a guarantee for a person. It’s our formal system. It’s a question of responsibility again. We are putting it on the computer but of course it is our responsibility. Corfield: I was talking to Michael Harris yesterday about Tom Hales, and his being slightly irked by this comment which appeared in the Annals of Mathematics, this rider saying subject to such and such. Mazur: Yes. It is a very strange thing for editors to do. The rider surely implies something larger than the editors intended, because it suggests that they personally have a very high degree of confidence in the contents of all the other papers that don’t have riders attached. What they should have—qua editors—is a high degree of confidence in their choice of referees. All of them. Corfield: So why not flag every journal article up as being subject to…? So there is a question of where the responsibility lies. Mazur: like pork belly futures. Corfield: Yes, you have sold them typically before you have even touched them. Corfield: You get these funny stories of people who forget to offload them, and then the call is made upon then and they’ve actually got to get hold of these pork bellies. So what is an example in mathematics? Mazur: Oh it is all over the place. Well the example is that lots of the time when you begin to study a concept, you use it vastly before it actually has explanatory power for you; only in the course of using it many times does it have explanatory power. Now how did it get that explanatory power if it didn’t have it before? Corfield: Didn’t have it for you or didn’t have it for anybody? Mazur: For you. Here is an example. We have many analogues of it in mathematics. You tell the doctor that you have this disease in the muscles and he says ‘oh you have myalgia’. And you feel you have been explained something. In a sense you have, and in a sense you haven’t. It is a perfect example of what I would consider to be an “explanation future”. That is to say, there is a little post there that has been rooted in the ground of your mind and you can hang things on it. Already you know that it has a name, that your disease has a name. Corfield: I can go join the myalgia sufferers club for example. Mazur: For example. I can google it. But it is not an explanation. And a lot of mathematics, an immense amount of mathematics is that way. Corfield: It sounded so from what you have written. So in that case the body of knowledge exists, it’s just that you don’t have it? Mazur: Absolutely. Algebraic K-theory (in a particular setting) I thought was that way for a while. I’m referring to the K-theory of special linear groups over arbitrary fields, and over the rings of integers in quadratic imaginary fields in particular. Now the K-groups are wonderful, and purport to tell you something about certain central extensions of those special linear groups, and to give you serious control over their generators and relations. But at the time of its origin not a single interesting K-group had been computed in this context. K was a place-holder for a future theory of these special linear groups. At the time, all we had was the setup of such a theory: we hadn’t powered it up yet. Nevertheless K-theory still had explanatory power because you knew that eventually somebody would fill in some of—or maybe all of—whatever is needed to be filled in, to make it pay. And the funnier thing is that it was already rooted in your mind, waiting to offer up explanations. Explanations not in existence yet, just explanation-futures. Promissory notes. The Shafarevich-Tate Group until Kolyvagin’s work was—in a particular aspect—similar: take a homogeneous cubic equation in 3 variables, and ask ‘does it have a rational point or not?’ One asks this question with a glimmer of hope that some sort of local-global principle might prevail. What I mean is this: if the equation were a quadric rather than a cubic, and if it had a rational point over every complete field, then it would have a rational point (the local-to-global principle—also called the Hasse Principle—holds for quadrics). But if it’s a cubic, it doesn’t necessarily satisfy this very convenient, and somewhat mysterious, local-global principle. (The equation 3X3+4Y3+5Z3 = 0 is a famous example, due to Selmer, of a cubic having no nontrivial rational point, and yet having points in every completion of the rationals.) So, given a homogeneous cubic equation in 3 variables that has points in every completion of the rationals, you define a certain gadget called the Shafarevich-Tate group related to it; the main mission of this Shafarevich-Tate group is to provide an answer as to whether or not your equation has a rational point. This move—done by Shafarevich and Tate—is already extremely clarifying! Yet for twenty years the Shafarevich-Tate group had never been computed in a single example. Despite this, the Shafarevich-Tate group remained throughout that period, enormously explanatory. Now, happily, we can compute a few of these Shafarevich-Tate groups, so the promissory note is beginning to pay off, big. Corfield: OK, that makes clear to me how you see explicit and explanatory as so close. Possibly, do you think if we had Grothendieck here, would he not see it the same way or was he somebody who ever cared about concrete calculations? Mazur: It is absolutely true that he seemed not to feel the need to make specific numerical calculations. Corfield: In Mykonos you told us about some work you do on computers. There are quite a few mathematicians you know who probably wouldn’t use computers. I couldn’t imagine Atiyah or people like that grunging over their respective calculations. Mazur: Did you know that Euclid’s Book Seven on number theory doesn’t have a single number? Scholars have made a career on coming down one way or the other regarding the question of whether there were diagrams in early manuscripts of Euclid, but nobody mentions that there isn’t any actual number in his book on number theory. So Euclid is a Grothendieck, in this way. Corfield: So there’s a weird sort explicitness there isn’t it, where he hasn’t actually specified how to be explicit. Mazur: He hasn’t specified the range of where his solutions are, and also the order of the problems. Now I don’t know—and I don’t think anybody knows—the origin of the text enough, to say whether or not these are just the manuscripts we’ve gotten, it’s what has come down to us; maybe the problems were in some more systematic or rational order before and now they are just scrambled. But they’re very, very scrambled problems. Here’s a game you can play: Take Diophantus’s Book 2 and read the first seven problems and guess what the eighth is. You’ll lose this game, surely, because one problem will be about biquadratics that would be a serious issue for any modern mathematician to obtain all of its solutions, and then the next will seem to depend only upon commutativity of addition. etc. You don’t see a progression. Also you don’t know what his audience is, why he’s doing this. I don’t think there is a secondary literature to help us much here. If you think of Euclid, second century commentaries are there in volumes and the commentarists are also very loquacious. Corfield: Is that because that’s been taken up and woven into philosophical ideas, e.g., neo-Platonism? Mazur: Well, you’re absolutely right. Corfield: Diophantus was never taken up in that way. At an international congress of mathematicians Weil gave a talk ‘History of mathematics: why and how’ and came out with this line that really only mathematicians could write the history. Mazur: Yes but you still have to both be able to read the texts, and actually read the texts. Weil had complete control of all the languages and complete control of all the mathematics. Nevertheless… I think there’s such a progressivist thrust in all his historical writing, that he was only interested in what the texts anticipated and not that interested in what the texts were saying. Corfield: You were talking about mathematical fiction, the story, the sweep of ideas, must it involve close reading then? Mazur: My mathematical fiction does not involve close reading. It doesn’t—in essence—involve reading at all. It is historical fiction, and a different genre from what Weil claimed to be doing when he wrote history. You have to label these genres. Corfield: When you’re doing your close reading work, you want to call that history? Mazur: No, I want to call it reading, period. In fact I think reading (period) is very undervalued nowadays. An older breed of scholars—I don’t mean 19th century, I mean just after the 2nd world war—really read things, I mean really read things. This activity seems to be a bit less popular now. Corfield: and then there’s history of mathematics. So I guess that we should keep these genres separate. Corfield: I was intrigued by this comment “It is ridiculously unfair to liken such an “explanation-future” (as X learning that a particular disease—known to X only by its symptoms—has a standard technical Latin name with Greek roots) to a mathematical formula—e.g., such as Gauss’s formula, the one cited in the footnote above that expresses a square root as a linear combination of roots of unity. It is unfair because, except for formulas that we label tautologies, any mathematical formula that equates one thing with some other thing is (if correct) valuable and is prima facie explanatory on some level or other.” Some people might think that there are contingent mathematical facts out there. For example, the 4th triangular number happens to be one more that the 3rd square number (10 = 9 + 1), but that’s not in the slightest way interesting, that’s just a fact. Mazur: Yes right, I see. You call them contingent? Corfield: I tried to do that in a paper of mine, picking up from Poincaré who says that the important facts of mathematics are those as in the physical sciences which lead to generals laws. Mazur: That’s interesting. That’s a stance isn’t it? The sentence of mine that you quoted. It never occurred to me that it is a stance that needs real argument to support it, until you pointed this out. Maybe it’s not true that the important things are only important because they lead to general things. You use the word ‘contingent’. Do you really want ‘contingent’? Corfield: Coincidence or something like that. Mazur: Happenstantial: I like that. Corfield: That have no kind of general theory around them at all. Corfield: Yes, that leads to a monstrous future I’d say. That’s a good example of a non-happenstential fact. Mazur: I think that’s my vote for the most non-happenstantial mathematical fact. Corfield: To start with, you can’t imagine what it is pointing to, but you know there has to be a big story behind it. Mazur: The sixteenth century guys had a formula for finding the roots of every cubic polynomial. And if the polynomial has 3 real roots the formula is a closed expression that—in some formal sense— solves the equation for getting the roots. But the formula will generally not give the sixteenth century mathematicians the actual 3 roots because at that time one didn’t know how to take cube roots of complex numbers in general. So here they have a beautiful closed form expression which purports to be a way of—what we would say is—explicitly solving the equation, yet which gives them not even an approximation to the real solutions of the equation. On the other hand we have Newton’s method, just a century afterwards, which gives a beautiful sequence of approximations converging to the solutions of the equation. And yet there’s something a little strange about saying that Newton’s method is explicit, because it’s not—by any criterion—explicit. You have to make an arbitrary choice even just to begin the game. So it’s a funny business. You have to say what you mean by explicit. From a certain point of view, Newton’s method would be an explicit solution and the 16th Century formula would not; and from another point of view, the formula would be the explicit solution and Newton’s method would be not. I describe, in my essay, how Gauss solves a fifth degree equation, and how Klein solves the general fifth degree equation. Klein has a beautiful thing where he uses the j function. Are they explicit, these solutions? Corfield: It’s becoming clear to me how you see explicit as a sort of sub part in a way of explanation. Mazur: I didn’t see it before I wrote this essay. Corfield: You talk about Descartes’ Treatise ‘Rules to the direction of the natural intelligence’, “I assume that Descartes was thinking, in analogy, of the degrees that occur in polynomial equations that cut out curves in “his” Cartesian plane”. He pairs them doesn’t he, one and two, three and four, etc. He called them genders. He’s debating with Clavius about the nature of mechanical curves. In that book by Donald Gillies, Paulo Mancosu has a chapter on precisely that debate. Mazur: Oh yes, Descartes is making the analogy: degrees of thought/degrees of a polynomial; also in “Discourse on Method” even though there’s no mathematics there. There is mathematics in the appendix, but if you read it with a mathematical sensibility you see it. Corfield: Right, but of course one can correct this. Descartes had an understanding of this step-by-step complexity, which then gets reformulated later on. You said that Galois has a different way of doing this, “we have an alternative way of gauging the difficulty of irreducible polynomial equations which I will hint at in this footnote”. Mazur: Yes, it’s the complexity of the Galois group, whether it’s soluble or not. Corfield: You say “Just as in Gauss’s formula, where any square root of an integer can be expressed as a linear combination of roots of unity…, after Kronecker-Weber we know that any abelian algebraic number can be expressed as a finite linear combination”, and then talk about Hilbert’s reaction to the result. Corfield: So someone transcribed the lecture, did they? Mazur: His assistant transcribed every word he said. Hilbert’s talking about the exp(2πiz): “Es ist wunderbar. Es ist ein geschenk von Himmel.” He says this a few times, and just keeps going on with great amazement that you can get all abelian extensions from a single analytic function. Corfield: I remember having a discussion with some mathematicians about the notion of a miracle. Is there such a sense of a miracle in mathematics? It always sounds like he thinks this is a miracle. Mazur: That’s good: I like that. Corfield: Are we seeing that here? Mazur: I don’t know; it never occurred to me. Corfield: I remember in that discussion, André Joyal coming up with the fact that all you have to do is add the square root of minus one onto the reals and you’ve got algebraic closure. Mazur: and that’s a miracle, yes. Corfield: And someone said, but there’s a general story in terms of algebraic closures that you can put that into, as though they were trying to give a unificatory kind of explanation of this fact. But there could be an example where unification isn’t really explanatory in a sense. Mazur: Yes, but I can see how someone might say: just adjoin this single tiny square root and you will have solved all polynomial equations; how marvelous! Corfield: So do we, later on down the track, do we have a kind of explanation of why this works, the thing that’s fascinating Hilbert here, why this…? Mazur: Oh yes. Hilbert must be beginning to understand Kronecker’s Jugendtraum in his own way; he is also evolving his own version of class-field theory. But the budding vision is not just for the rationals: the exponential function alone is good for the rationals and forms the bench-mark for the type of answer one is seeking. Then Kronecker asks about quadratic imaginary fields—generalizing the template that works for the rationals—- and the answer that he hits on is that you use the j-function instead of the exponential, and a few other functions like the j-function. Very few functions still, so its quite economical, and you get a uniform way of constructing all of the extensions of this quadratic imaginary field. Corfield: OK, so that rather ties into what we were talking about origin-stories and templates, doesn’t it? Mazur: We don’t think it’s boring even now, and it’s 80 years later. Corfield: Because it’s still like a live metaphor, rather than a dead metaphor, it’s still the template, the seed… ? Mazur: Yes. Kronecker’s dream so far, has only worked for quadratic imaginary fields and what are called complex multiplication fields, the collective noun phrase describing, basically, the fields for which his dream can be made—with effort—to work like a dream. Mazur: No, it’s quite falsifiable and it’s quite a beautiful thing but it gets more and more complicated and yet the goal gets larger and larger; it’s a perfect example where the template is beginning to be molded around larger and larger goals. Corfield: But you talk about non-falsifiability of a template because it adapts to the new conditions it needs. Mazur: That could be. I want templates that almost work perfectly but don’t work perfectly. And that ‘imperfection of the fit’ will change the very notion of explanation. I think Kronecker’s Jugendtraum does this sort of thing, because it doesn’t quite fit and yet it fits enough so that I can re-organize my thoughts so as to still keep it as a guide. Corfield: The contrast to that may be in what Andre Weil talks about. What is most attractive to mathematicians, these analogies, the “furtive caresses”. And then when you achieve the unification it becomes cold and as though it’s lost its sparkle. Is that in a sense because the template you found to have unified the fields doesn’t go through such transformations? Where the template doesn’t have to bend very much as you shift through a field, perhaps later then you see that initial spark as not so interesting. Mazur: Weil says “as the Gita teaches us, knowledge and indifference are attained at the same moment”. I don’t believe it. I mean if you look at Dennis Sullivan, he seems to be continually excited by the simplest topological truths. The Jordan Curve Theorem, I’m sure that if he thought about it this moment, he would be as ecstatic, maybe not as ecstatic as Hilbert, but as ecstatic as he was when he first heard of it. Take a theorem that’s classical, that Dennis must have taught say a 1000 times, and every time he thinks about it there’s still this sparkle. Corfield: Not as though it’s giving him new ideas. It’s just there. Mazur: It’s there! And Weil claims not to be that way. Corfield: Is that linked to the Bourbakian crystalline imagery. Aren’t their texts cold? Corfield: How do you ever say when a dream ends, when it’s been exhausted? Mazur: When you wake up? Corfield: I talked to Peter Galison after the dinner and we discussed Wheeler’s approach, all these free floating ideas on the one hand, and then Bourbaki on the other. You could say that they are just two sorts of activities which will happen at different times in the course of mathematics, and just because you’ve set down a kind of ordering of the concepts at one point doesn’t mean that in future things won’t change. Is there some sort of sense of irreversibility that once some things have been organized one way you’re never going to look back and think that was a wrong move? Mazur: I think that there are wrong moves. Corfield: There can be wrong moves, but are there right moves and that will permanently be right moves? Corfield: How can one even know that? Mazur: I suppose you can have faith that this or that template is something that we will always have with us in some form or other. Corfield: If they do say that, they would have gone wrong somewhere. Corfield: It’s sort of unfalsifiable in a way. Mazur: It’s unfalsifiable, exactly. I certainly think it will be seen as a good step. Corfield: Did you say that we’ve only just begun? Why begin at a certain point? Why begin with Kronecker’s dream when you were putting the seed in Kronecker’s dream back with Gauss? Mazur: I was putting it back even further, to Pythagoras! Corfield: So in some sense it’s the whole of the history of mathematics. Mazur: Well, lots of the history of mathematics. Corfield: I suppose we ought go back to ‘character’ taken from the narratologist’s point of view. In response to your usage, they said: imagine if they—the narratologists—came to a maths conference and told you “when we talk about groups we define it our way”. What would your reaction be? Mazur: Touché! Instead of my mis-using the word character, then, let me revise my essay and use the phrase the agent of the tale. Now we do have in literature inanimate or non-organic objects acting as—let me not call them characters, but rather— agents of the tale. That’s easily dealt with as long as they are labeled as characters by the story. Orhan Pamuk’s novel ‘My Name is Red’ is an example. The book is many things at once and it would take a long time to say what it is, precisely, but every chapter begins with “My name is ____” and is narrated by the eponymous thing. I say thing because it is often some miscellaneous thing; sometimes it’s an object, sometimes it’s the murderer, for the novel is also a mystery story. Sometimes it’s the murderer labeled as murderer and you have no idea who it is. Sometimes it’s a character who might be the murderer. Animals. Colors. Inkwells too. Somehow this conglomeration of agents manages to tell a story. In fact, these are probably not interesting characters from the narratologists’ point of view, nor from my point of view, because they’re actually labeled characters. But there are other works of fiction, where unlabeled agent-like entities are at play. In the Fisherman’s Wife Tale, as told in Virginia Woolf’s ‘To the Lighthouse,’ it’s the sea that grows more and more turbulent, it changes color like those octopuses that change color. The sea in the told fairy-tale within the tale has emotions… and all the while the ambient Hebrides weather is somewhat in control. On top of this, the narrator is not quite a consistent-voiced being, but rather a kind of collage of voices. The narratologists have to give me a term for this collective agent that—that has an outer inconsistency and an inner consistency—and that voices the story. Corfield: That’s an interesting question you put, to the extent that one deals with a person you imagine there is a certain consistency and when you see realizations of them in different contexts, you imagine there’s an integral core or something. Mazur: An integral core of identity. And indeed in the collage of voices there is. Corfield: That justifies you seeing it as a one entity. Mazur: And you see that in Kronecker’s dream! © Copyright 2001-2007 Thales + Friends.